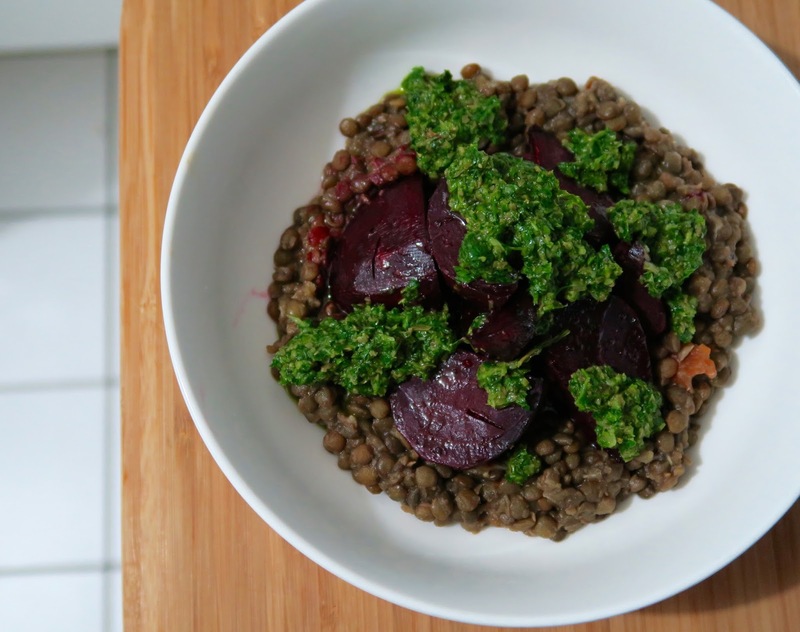 lentils and beets with salsa verde from A Modern Way to Eat by Anna Jones. Over January this year I'd been essentially living alone and cooking for one so my dinners consisted of a lot of pasta and curries. Now don't get me wrong, I love pasta (you'll notice pasta recipes are strong with this blog) and curries but there is only so many pasta dishes and curries a girl can eat before she turns into them. They were my staples...pasta with what ever sauce I found stashed in the back of the freezer from a few months ago or a mystery curry made up of all the vegetables that were going off in the fridge. Both these meals would feed me for at least two dinners and two lunches and by that point I never wanted to see either of them ever again. After ingesting enough pasta for an entire family one night I decided that tomorrow would be different. I went to the grocery store when I finished work and went shopping for fresh fruit and vegetables, herbs, lentils and cat food. The cat food was initially what prompted me to go to the grocery shops... pasta and curry isn't so great for cats I've heard. The result of this shopping expedition for cat food was one of the most delicious meals I had eaten alone on the couch in a long time. 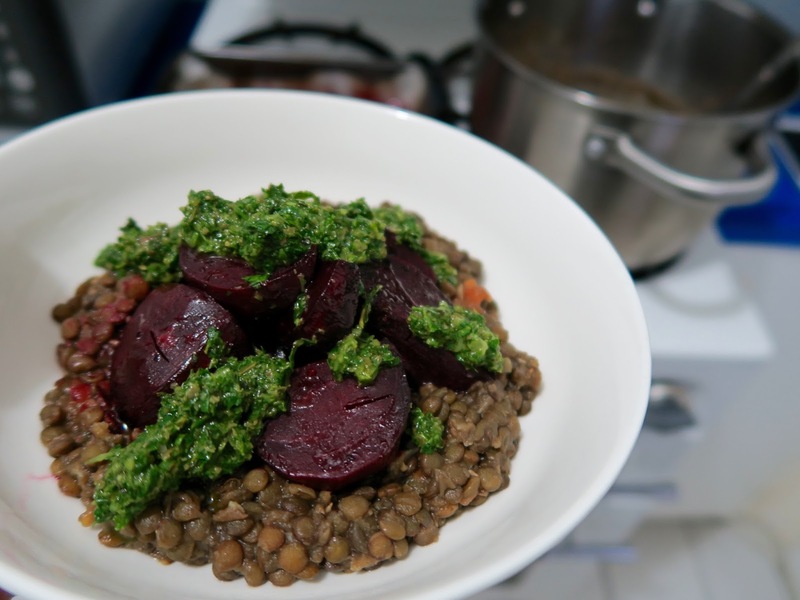 Roasted beets with lentils and salsa verde. The recipe came from 'A Modern Way To Eat' by Anna Jones which is a fantastic book. I'm a little late on the band wagon again but it's never too late to jump on and I'm glad I made this online purchase when I did. It's a vegetarian cookbook but it's one of those vegetarian cookbooks you can flick through and not even realise its meat-free until someone points it out to you. The roasted beets with lentils and salsa verde was so fresh and such a lovely welcomed change from what I had been eating. The lentils were cooked with herbs, tomato and garlic which were so comforting and warming but not heavy and the roast beets had their lovely earthiness which worked so well with the red wine vinegar they are roasted in and finally the salsa verde which gave it such a fresh bright zing to the whole dish. It would be a perfect dinner for both winter and summer months, you could even chuck in some other roast veggies like carrots or parsnip with the beets for a more veggie-full dinner. Also, on a side note... the salsa verde is amazing on fish taco's the next day! There are so many more recipes I want to make from this book, my copy is full of tabbed pages. Recently, I've made her granola which is so delicious I've made 2 batches of it already. It's so good mixed through thick greek yoghurt and also makes a lovely gift. - Put the quartered beetroots on a tray with the red wine vinegar and a good glug of olive oil and a splash of water, season with salt and pepper then toss everything together to coat. 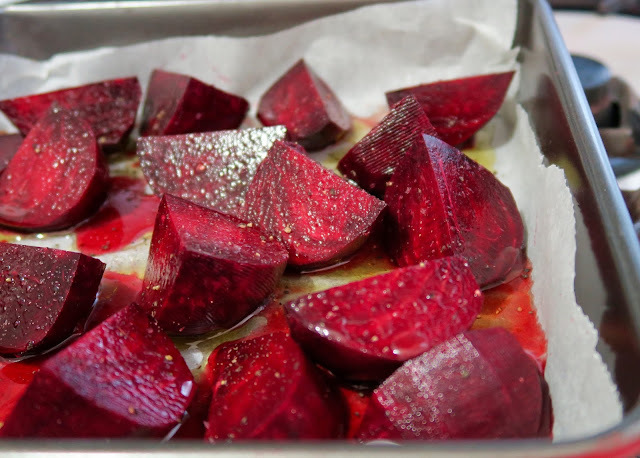 Cover with foil and roast for 1 hour or until the beetroot are tender. - While the beets are roasting, get on with your lentils. Put them in a pan with the unpeeled garlic cloves, tomato, bay leaf and thyme. Cover with vegetable stock and on a medium heat bring to a boil then reduce to a simmer for about 20-25 minutes, until they are cooked and the liquid has evaporated. You can always top up with a little water throughout the cooking if it starts to look a little dry. - When your lentil are blipping away, make your salsa verde. In a food processor add your capers and cornichons and whizz until finely chopped but not mush. 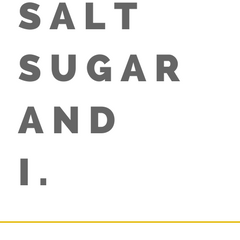 Add your herbs, olive oil and lemon juice and season with salt and pepper. Have a taste. Does it need more lemon juice? oil? salt? now is the chance for you to make it to your liking. I love tart things so I added a squeeze more lemon juice. 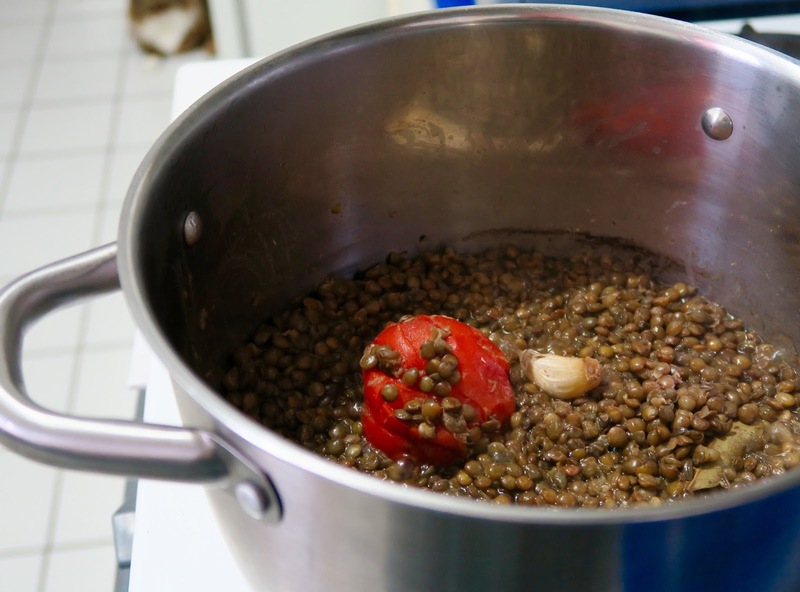 - Once the lentils are cooked and all the liquid has evaporated, scoop out the tomato and garlic cloves and place them in a bowl to cool slightly. Once cool enough to handle, pop the garlic out of the skins and place back in the bowl with the tomato. Mash the garlic and tomato up with a fork and stir into the lentil. Season lentils with salt, pepper, a glug of olive oil and a splash of red wine vinegar. - Finally when the beets are cooked, pile the lentils onto plates, top with the roasted beets and drizzle with any roasting juices still in the pan. Spoon over the salsa verde to finish. Note: salsa verde will last 2-3 days in an airtight container in the fridge and is amazing on fish taco's the next day!